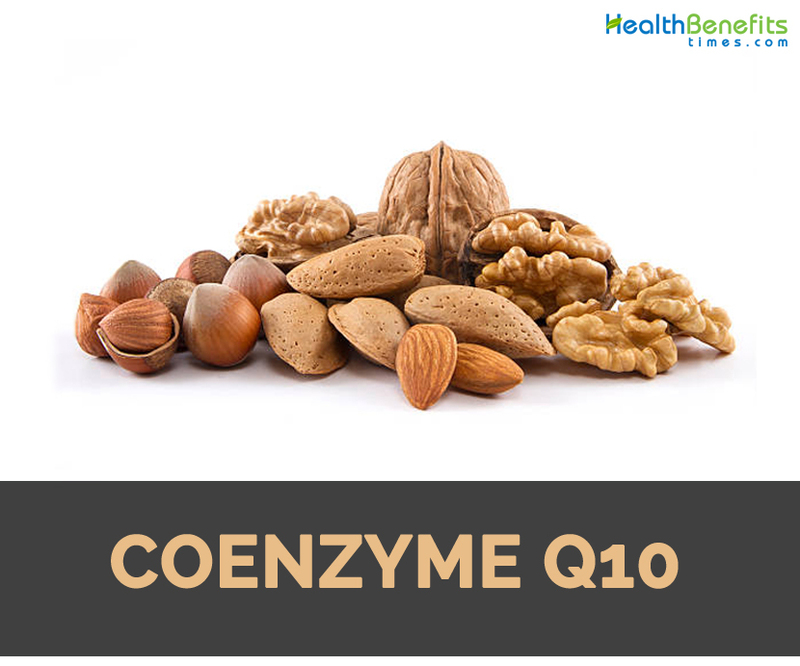 Coenzyme Q10 is a molecule used by the human body during aerobic cellular respiration. CoQ10 does much of its work in the mitochondria, parts of the cell where energy is produced. It is a critical link in the mitochondrial respiratory chain. CoQ10 is also an antioxidant, and like other antioxidants, can help protect the body from damage caused by free radicals and other reactive chemicals. CoQ10 is the most fat-soluble antioxidant, so that it protects areas with fats (like the linings of blood vessels) against oxidative damage. There is CoQ10 everywhere in the body. The highest amounts are in the kidneys, liver, pancreas, and heart, whereas the lungs have much less. Levels of CoQ10 in the blood can be decreased during oxidative stress; low levels are often found in people with cancer, as well as people with chronic neurologic diseases. Mitochondrial dysfunction is present in many chronic diseases. Because CoQ10 helps mitochondria produce energy, it has potential as a treatment for many diseases, including cardiovascular disease and disorders of the immune system. As an antioxidant as well as an immune system stimulant, it may be able to help with cancer treatments. Most CoQ10 is made by the body, but some comes from the diet. It is not a vitamin because its class of molecule can be made by all animals including humans. These are called ubiquinones because they are present everywhere; CoQ10 is also known as ubiquinone. Decreased levels of CoQ10 have been found in patients with many kinds of cancer, including breast, lung, prostate, kidney, colon, pancreas, head and neck, myeloma, and lymphoma. Both increased and decreased levels have been found in actual cancerous tissue. Laboratory and animal testing has been done with CoQ10 since the 1960s. All of CoQ10’s properties may be important to prevent or treat cancer. It stimulates the immune system in animals and humans, including increasing antibody levels, and affects helper T cells (immune cells). The antioxidant activities of CoQ10 have also been studied as they relate to cancer. There is some evidence that analogs (chemicals with similar properties) of CoQ10 may stop cancer cells from growing. There have actually been limited studies in humans. CoQ10 does limit the toxicity to the heart caused by certain agents used to treat cancer, called anthracyclines. A study showed this benefit in regard to doxorubicin, a chemotherapeutic agent. Monitoring heart function in patients on doxorubicin is standard. Perhaps its depletion of CoQ10 is to blame. There have been uncontrolled tests with incomplete data indicating a benefit to using CoQ10 in treating breast cancer patients with metastases. There are other anecdotal reports and case reports but not well-designed clinical trials. An analysis of the reports and studies completed in 2003 found that there was no evidence that CoQ10 can treat or prevent cancer. CoQ10 has been considered for prevention and treatment of cardiovascular disease related to atherosclerosis, hypertension, diabetes, and other common risk factors. LDL (“bad cholesterol”) in the walls of arteries can be oxidatively damaged and that may be an initiating event leading to atherosclerosis. In these cases, the antioxidant function of CoQ10 might be beneficial. There are other properties of CoQ10 that are of interest, such as its ability to decrease the amount of a specific substance on the surface of cells that can collect on the blood vessel walls. An analysis of available research in 2003 found conflicting results. Some improvement in cardiac function was observed in some studies but not confirmed in others. Levels of CoQ10 have been considered as an independent predictor for outcome in patients with chronic heart failure. Those with lower levels have a higher risk of death. In one recent study, the correlation was strong enough for investigators to call for more interventional studies using CoQ10 to treat heart failure. This same pattern repeats for almost all types of cardiovascular disease and treatment. From the treatment of angina (lack of blood supply to the heart muscle), to high blood pressure and damage of the lining of the blood vessels, there is limited evidence of benefit from CoQ10 and a need for more studies. Multiple small trials have shown no effect of CoQ10 on diabetes. It does not improve glucose control or lower insulin needs in type 1 diabetes; it does not improve glucose control or lipid profiles in type 2 diabetics. CoQ10 has been tested to see if it can improve endothelial function in diabetics. A number of small studies have reported success. For example, a double-blind, crossover study of 23 statin-treated type 2 diabetics found that 200 mg a day of CoQ10 did improve measures of endothelial function in 12 weeks. Not surprisingly, the authors of this study concluded by suggesting a clinical endpoint trial. CoQ10 has not been shown to improve heart function in diabetics, at least in small trials like one testing 74 type 2 diabetics with dysfunction of the left side of the heart. Evidence of both mitochondrial dysfunction and oxidative damage is found in neurodegenerative diseases including Parkinson’s disease, Huntington’s disease, and Alzheimer’s disease. CoQ10 levels in the brain decrease with aging. The sub-stantia nigra, which is the area affected in Parkinson’s disease, has the lowest CoQ10 amounts in the brain. While supplemental CoQ10 raises blood levels in humans, only animal studies have shown that it crosses the blood-brain barrier. As of 2009, no testing has been done on humans to see if it crosses the human blood-brain barrier. Many tests in the lab show the protective effect of CoQ10 in stressed cells in vitro. Oral administration of CoQ10 increases CoQ10 levels in the brain of older lab animals but not young ones. There are many models of neurodegenerative disorders in animals that are meant to mimic those in humans, and tests have shown that CoQ10 can help prevent or ameliorate the symptoms of these diseases. The results in animal studies have been favorable enough to encourage human clinical studies. Trials of CoQ10 for Parkinson’s disease have yielded mixed results. There does appear to be some benefit in patients’ movement abilities, particularly activities of daily living and also motor control, cognition, behavior, and mood. However, CoQ10 has not reduced the time to when dopamine is needed to treat disability. A large, randomized, Phase III trial is said to be currently underway. One multicenter, randomized, double-blind, placebo-controlled, stratified, parallel-group, single-dose trial involving 131 patients with Parkinson’s who were stabilized on treatment used nanoparticular CoQ10 at 300 mg a day (comparable to 1,200 mg regular CoQ10 ) for three months. While the supplements were well tolerated and increased CoQ10 plasma (blood) levels, there was no statistically significant change in any measurable outcome from the supplementation. Trials using CoQ10 to treat Huntington’s disease have also yielded unclear results; a Phase III trial is underway for Huntington’s disease and CoQ10. Tests using CoQ10 for amyotrophic lateral sclerosis have showed little enough benefit that stage II testing is as far as the testing will go. CoQ10 has not been tested for Alzheimer’s disease, although a number of studies have looked at the analogue idebenone. Results have been mixed. Researchers in this field stress the need for more definitive, large-scale testing. CoQ10 and cholesterol share part of the same biochemical pathway, and statin drugs lower cholesterol by blocking one of the steps. Patients on statins have low blood levels of CoQ10. They can also have muscle pain, myopathy, and even breakdown of muscle tissue with myoglobin in the urine. It has been hypothesized, but not proven, that the myopathy associated with statin use occurs because of a CoQ10 deficiency. Tests have not shown definitely low levels of CoQ10 in affected muscle. There are those who believe that people on statins should take supplemental CoQ10 based on the incomplete current information. There have also been studies that do not show relief of myopathic symptoms by giving CoQ10 to patients with myopathy on statins. Some have postulated that there may be a subgroup of people with genetic subtypes that are more likely to need CoQ10 supplementation and benefit from it. Others suggest that since CoQ10 is so safe, there is no reason not to give it to individuals with statin myopathy, even though it has not been proved effective. At the same time, more testing is suggested, both of the effectiveness of CoQ10 for this purpose, as well as to determine genetic subtypes that may benefit. CoQ10 has been used to treat migraine headaches as well as cyclic vomiting syndrome, a related condition. It may be better tolerated and at least as effective as amitriptyline for these conditions. CoQ10 improves exercise tolerance in patients with genetic deficiencies; perhaps supplements can improve exercise performance in other people. The controlled studies to date do not support this idea. CoQ10 has not been found to improve exercise tolerance in normal individuals. There is no deficiency syndrome related to insufficient CoQ10. Enough is made by the body and ingested to meet the needs of healthy people. Approximately 25 percent of CoQ10 may come from dietary sources. However, no regulatory agency has suggested a recommendation for amounts of intake. There are genetic disorders leading to a decrease in production of CoQ10 but these are very rare. Genetic CoQ10 deficiencies are autosomal-recessive conditions. They involve, in varying degrees, myopathy (muscle abnormalities), encephalopathy (problems with the brain), encephalopathy and myopathy together, atrophy of the cerebellum (balance center) with ataxia (difficulty keeping balance), and an infantile variant involving multiple organs including the kidneys. This can appear as growth retardation, with deafness, seizures, and cognitive impairment. The genetic defects are just beginning to be understood. Early identification of patients and their siblings may allow prompt treatment with CoQ10. All patients improve with CoQ10 administration, but they need high doses and long-term administration. The muscular and peripheral symptoms improve more than the central nervous system abnormalities; CoQ10 may not get through the blood-brain barrier, or the damage may be irreversible. There are other genetic mutations in other areas that can interfere with CoQ10 synthesis and cause the same types of symptoms. Since deficiency of CoQ10 decreases antioxidant capacity and causes mitochondrial dysfunction, other diseases with these defects in the central nervous system may respond to CoQ10. This could include Parkinson’s disease, Alzheimer’s disease, Friedreich’s ataxia, and others. Most are being studied. There are many other mitochondrial diseases. A CoQ10 synthesis defect is one of the few treatable mitochondrial diseases. As the genetic defects are isolated, earlier treatment will be possible. Deficiency of CoQ10 has been reported with many types of cancer, as well as other diseases including diabetes, congestive heart failure, and progressive neurological disorders as noted. CoQ10 levels also decrease with age. The significance of all of this is not completely understood as yet. The best sources of CoQ10 are fish, poultry, and meat. Nuts, soybean, and canola oils also contain a relatively large amount of CoQ10. Other foods, including fruits, vegetables, dairy products, and eggs contain some CoQ10. Most people probably consume less than 10 mg a day of CoQ10. As examples, 3 ounces of fried chicken has 1.4 mg of CoQ10, while one orange has 0.3 mg. Mechanism of action: how does it work? CoQ10 is required for energy production in every cell. Most of its work is in the mitochondria, the powerhouse of the cell, to synthesize ATP, which is a kind of fuel. CoQ10 accepts and then transfers electrons as needed. CoQ10 also transfers protons. With these processes, energy in the form of ATP is generated. CoQ10, as stated, is an electron carrier during mitochondrial respiration. It also transports electrons elsewhere in cells. It regulates permeability of a number of membranes, including the mitochondrial pores. It can affect the amount of certain substances carried by a type of blood cell called a monocyte. 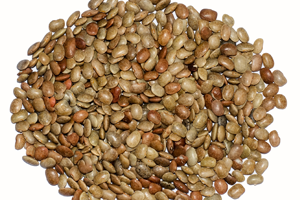 It has an effect on the lining of blood vessels called the endothelium. CoQ10 is able to cause alterations in yeast and bacteria. Many of these actions have been understood because of what is found in people with genetic deficiencies of CoQ10. CoQ10 exists in a reduced form and an oxidized form. CoQ10 is an antioxidant in its reduced form. Since it is fat-soluble, it works in cell membranes and lipoproteins, preventing damage to them. Lipoproteins are the packages that carry cholesterol. CoQ10 can also prevent oxidative damage to the mitochondria. CoQ10 is synthesized in three steps. Part of its structure comes from an amino acid. A second part is mevalonate. The two parts are joined; this is regulated by hydroxymethylglutaryl (HMG)-CoA reductase. This enzyme is necessary for cholesterol synthesis and is the target of statin therapy. One of the effects of statin therapy to reduce cholesterol is a reduction in CoQ10. As people with genetic deficiencies of CoQ10 have been identified, it has been estimated that there are five general groups of symptoms, which are related to different errors in the biosynthesis of CoQ10. More genetic defects are still being found and analyzed. CoQ10 must be given to anyone with a genetic condition causing the inability to manufacture it. These are rare problems, and not all are treatable with CoQ10. However, if the genetic abnormality can be identified early in patients or siblings and CoQ10 is administered, it can improve many symptoms, especially those outside the central nervous system. It can be used for migraine headaches and cyclical vomiting. CoQ10 has not been proved beneficial for most of the conditions for which people take it. Individuals may choose to take it to try and improve their cardiovascular health or exercise tolerance, to gain better control of their diabetes or lipids, to prevent cancer or Alzheimer’s disease. Patients on statins can take CoQ10 to try and avoid muscle problems. It can be used for any of the diseases discussed above. People who choose to take CoQ10 for any serious medical condition should discuss it with their doctor. They should not stop any prescribed medication. As a supplement, CoQ10 doses are usually between 30 to 100 mg a day. Softgel capsules range in price from $20 to $60 for 60 to 120 100-mg capsules, or for 30 400-mg capsules. As treatment for various conditions, doses of 100 mg to 300 mg may be used. Doses above 100 mg should be split up. CoQ10 is absorbed best when taken with a meal that contains fats. Doses as high as 3,000 mg a day have been used to treat Parkinson’s disease. While it is fairly certain that supplements of CoQ10 increase blood levels and also lipoprotein levels of CoQ 10, it is not certain that supplements increase tissue concentrations in normal individuals. There has not been enough research in this area. CoQ10 is available in many different forms. It is dissolvable in lipids or fats, not water. It can be found as a powder, suspension, oil solution, and solubilized form. Creams, wafers, tablets, capsules with both hard and soft shells are all available. There are newer forms that aim to increase the amount of CoQ10 available to the body, such as nanoparticular CoQ 10. There is also an analog of CoQ10 that has been made, called idebenone. This substance may be able to more easily dissolve in water. Administration of CoQ10 does raise its blood levels. Using a lipid (fat) formulation or taking it with foods containing fat improves its absorption. CoQ10 is well tolerated. Insomnia has occurred at doses of 100 mg or higher. At doses of 300 mg a day for long periods of time, there have been elevations of liver enzymes but no actual liver damage. CoQ10 can cause nausea and stomach pain, heartburn, rash, dizziness, fatigue, irritability, and the sensitivity of the eyes to light, called photophobia. The doses used in trials of CoQ10 as treatment for neurodegenerative diseases, as high as 3,000 mg a day, have been well tolerated. Patients have had headaches, gastrointestinal symptoms, upper respiratory infections, all in similar numbers to patients taking placebo. In one study evaluating tolerability of CoQ10 up to 3,000 mg a day, participants complained of headache, rash, urinary tract infections, edema (swelling), gastrointestinal symptoms, and joint pain. It is believed that mild gastrointestinal symptoms are the most likely side effects from CoQ10. Some studies have pointed out that there are essentially no differences between placebo and CoQ10 in terms of side effects. Right now it is early in the story of CoQ10. It may live up to all its potential or it may not. There is no way to know what well-designed trials will discover about this supplement. In the future, researchers may be able to say authoritatively what CoQ10 can and cannot do. For now, none of this is proved. On the other hand, most of it has not been disproved. In the meantime, it can be taken by people with cardiovascular risk factors or diabetes. Patients on statins can take it to try and avoid muscle problems. Patients with cancer can try it. People with neurodegenerative diseases can also take it. Because it seems to be very safe and can be obtained inexpensively, there are not many objections to trying it. However, it has not been proved useful for these conditions.